Lotion. Body Moisturizer. Ready to use bases. All can be used “as is” or it can have color and fragrance incorporated prior to packaging. You Save $11.80 by purchasing this kit rather than buying the items separately. Note: Amount of fragrance cannot exceed IFRA guidelines (listed for each fragrance on this website) and should not exceed this products “Maximum Fragrance Load”. If your lotion does not remain white when you rub it into your skin then you have used too much color. If product significantly thins you have used too much fragrance. "Great way to find out which one is best for you." COMMENTS: I love that the sample set has samples big enough to test with. Not just a tiny amount. Makes this set perfect for learning about the different lotions and also experimenting to see what works best for what you're wanting your lotion to do and look like. COMMENTS: We purchased this sample pack to decide which lotion we wanted to use. The lotion bases are easy to use and personalized for your own line. It gave us a clear view of which one we wanted!!! Wonderful value. You can't go wrong on this one. COMMENTS: I really love these. I have bought a couple of times. I love using the baby lotion for my face. I made different fragrances with the others and gave out to my family. They loved them too. "Excellent Product Excellent Value "
COMMENTS: I only make small amounts of lotion here and there, so this sampler kit is absolutely perfect for me. COMMENTS: I bought the sampler set to try out the different lotion bases, and all of them were great. I had a grat time blending lotions together to come out with the perfect product. 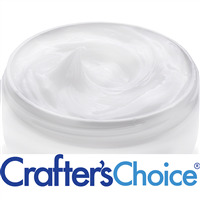 COMMENTS: Great for sampling to choose the best base for my facial skin care products. "hard to pick a favorite!" COMMENTS: wow! I'm really at a loss to pick a favorite in these. I have been using Cera'Ve on my face for a while and the lotion with primrose oil has done as good a job at hydrating if not better and no enhancement of pores on my nose. But, all the lotions in this kit are awesome, absorb fast and really hydrate my dry skin. skin is soft and plump looking and if you scratch an area where you applied the moisturizer you don't get gunk under your nails, like some other lotions that just sit on the skin. COMMENTS: I am so glad I bought this lotion sampler kit! When I was trying to pick out which lotion would be best I couldn't choose which one to pick, so I'm so glad WSP offers this. The sizes of the samples are a very good amount! Very helpful kit, Thanks WSP! "The perfect kit for the undecided!" COMMENTS: This is a great kit! I had not sampled any of the lotions so this was perfect for me to decide which lotions I wanted to carry. Great way to find out which ones my clients were interested in purchasing before I made the plunge into larger quantities. COMMENTS: If you want to try our lotions without the commitment to a large size, this is the perfect way to do it. They send a nice large container so you can try different samples of scent or color with each to see how you like the way it works. Love this about WSP. COMMENTS: This kit lets you try all the lotion bases and are a terrific size and excellent value. I loved trying before buying to find which bases I liked best! Awesome buy! COMMENTS: I was very happy to order this kit it was and excellent variety to try each one of the lotions. Some I definitely like more than others but great products. Perfect way to get an idea and figure out works best for you and your customers. "great way to test new products "
COMMENTS: Buying a sampler is a great way to test out new products/recipes. The quantity received is generous enough for the whole family to test out to see what you like, don't like etc. all samples are unscented/colored so you can add your favorites, mix and use! COMMENTS: I couldn't make up my mind which lotion base I wanted to try; this was my first time making lotions, so I wanted to start out simple. I'm glad I ordered this; it made choosing much easier and all the lotions in this kit were great! "Great way to sample products!" COMMENTS: After looking at the site for quite some time and being truly perplexed about what to try first,i'm so glad that I purchased this kit. It gave me the ability to try several lotions as well as sharing a few samples with friends. It has saved me quite a bit of time too in figuring out which ones I will supply to my customers. "Can't Go Wrong on this Sampler"
COMMENTS: There is no better, or more cost effective way to sample all the lotions and creams that WSP offers. One of my friends immediately ordered one for herself. "what can I use to color the lotion base?" Staff Answer The Stained Glass liquid dyes work very well when adding color to lotions. "I'd like to add Aran oil to either body butter or Shea aloe lotion_ what ratios besides the fragrance would I use. And if I add say evening promises too, what atm. for additional items. Thanks,I wasn't sure where to find this in recipes." Staff Answer We recommend reading the instructions for each of these bases. Most lotion bases state: "If more than 5% additives are incorporated into the base, the current preservative system will be diluted and additional preservative will be required." "It says on each lotion that the maximum heating temp is 140. When each item says on the directions on the bottles the maximum heating is 120. Can I just heat it up until it is liquid just as long as it doesn't go past 120?" Staff Answer You can heat the lotion bases up to 140°F. If heating over this temperature, it can affect the preservative in the bases. "Can I add zinc oxide to this lotion base? And what would be the ratio?" Staff Answer Yes you can add Zinc Oxide to a lotion base. The typical usage rates for zinc oxide are 5-20%. "Can you add your own fragrance to the sample kit?" Staff Answer This is a lotion base kit so each item in the kit is a lotion. If you would like to add a fragrance to any of the lotions, you can. Please refer to the 'Overview' and 'Directions' tabs for instruction. "Would I be able to choose which lotions come in my sampler kit, or would i be limited to the ones already listed?"